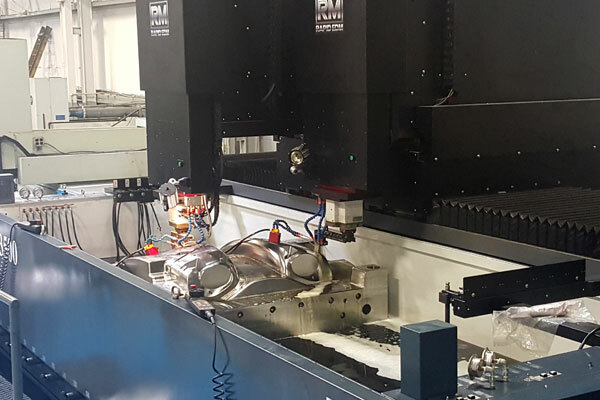 The skilled machinists at Rapid Manufacturing in Windsor, Ontario use advanced equipment to offer you a variety of CNC and EDM mold machining processes that include High-speed Machining, Sinker EDM, Wire EDM, and much more. 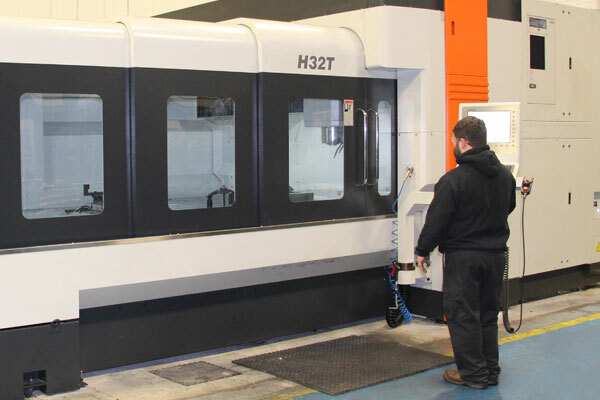 Utilizing our high speed 3 and 5 Axis machines, our machinists make various simple and complex parts using a variety of plastic and metal materials to meet your exact specifications. Our mold machining processes include detail work from build to print or 3D CAM Data for both prototype and production runs. To support our tooling department we have 11 CNC machines with shop floor programming using the latest in CAD/CAM technology. 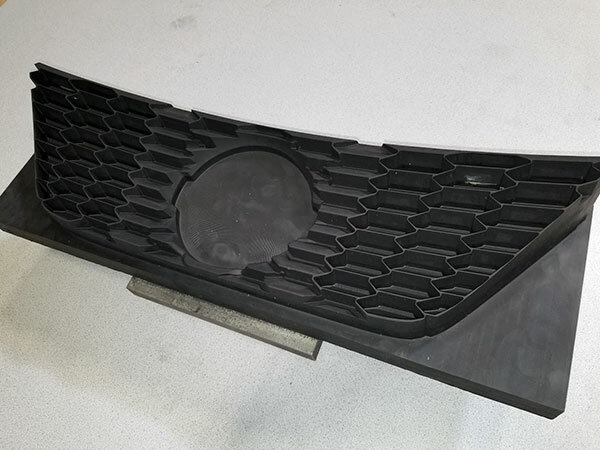 Our EDM department is second to none with 7 CNC EDM’s with high speed palletized carbon cutting. 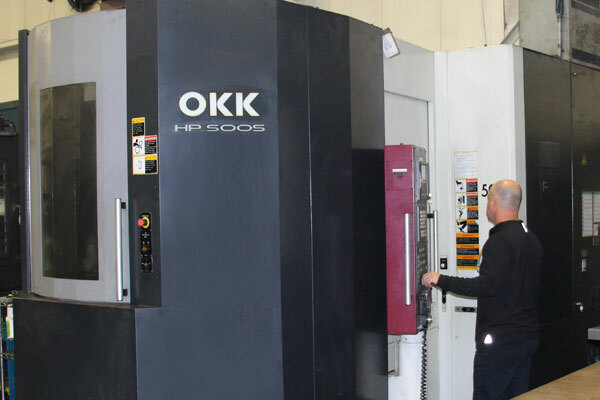 EDM- Electrical Discharge Machining – We are one of the largest Edm Outsource shops in Southern Ontario. With 7 Edm’s we can take on projects of all kinds. Our largest capacity is a double headed machine with a 200” x 70” tank for the biggest projects. 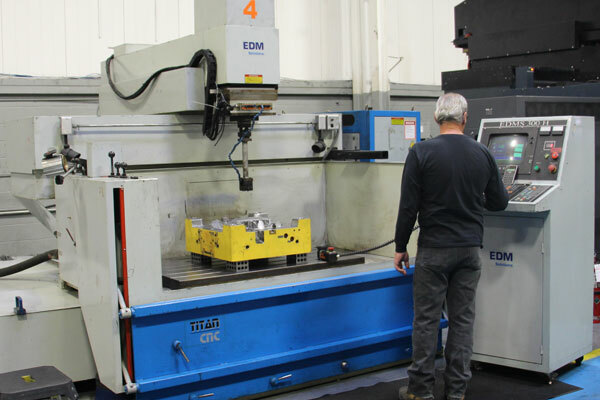 With two heads we can cut EDM lead times in half for your most time sensitive projects. Double headed machine EDMing a large job. Delivery was reduced by 45%” Customer was extremely great full. Electrode Manufacturing – We manufacture electrodes using the latest in highspeed electrode cutting machines. We have palletized graphite electrode production. 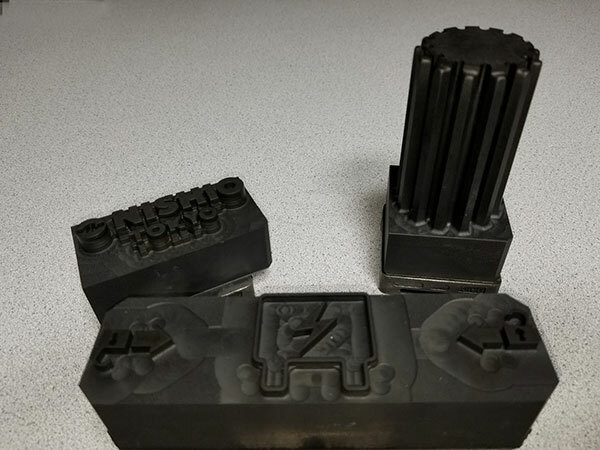 We use the most accurate tooling in the industry – System3R EDM and Erowa EDM. 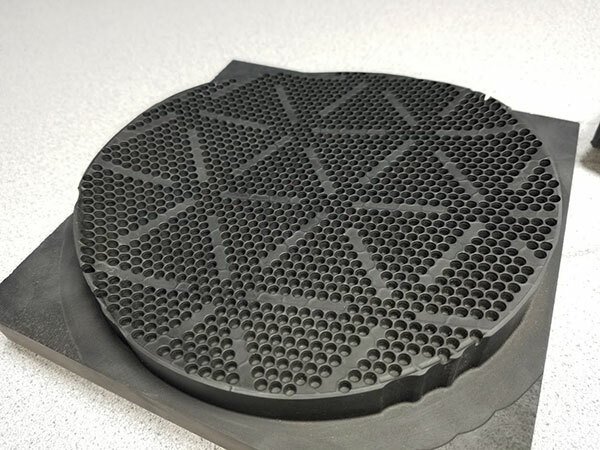 We have taken our process of electrode cutting to help others achieve palletized carbon cutting with our tooling sales and marketing division. We also sell EDM tooling that is compatible to System 3R and Erowa at Rapid Holding Systems. 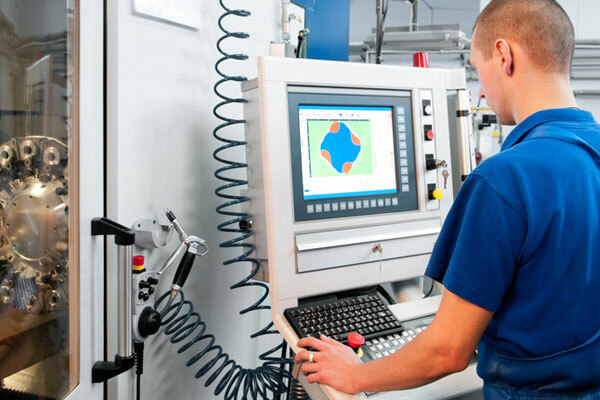 Rapid Manufacturing has been providing exceptional CNC & EDM mold machining services for over 20 years. We are fully equipped for production and prototype parts and components, both intricate and those involving complex details. No matter what size, complexity, or material your product is made of, we can provide you with a complete end-to-end solution utilizing our expertise and latest technologies. We can help you stay a step ahead of your competition by insuring strict quality tolerances, shortening lead times, and reducing overall costs. We service and support Injection Molding, Compression Molding, Tool and Die, Cold stamping and Hot stamping. Extensive knowledge in various manufacturing environments is a major contributor to all of our successful projects. Whatever industry you are in, we can help. Call us at (519) 739-1100 or contact us by email for a free mold machining quote. Don’t forget, we are open 24/7 so you know we’re there when you need us most.